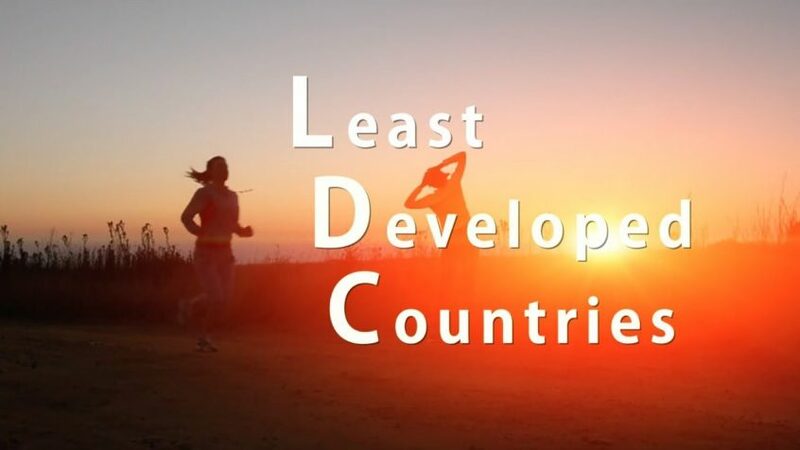 As many as 14 of the world’s 47 least developed countries (LDCs) may leave this category in the coming years thanks to their rapid economic and human development. While certainly a cause for celebration, graduation also entails the loss of certain privileges. A new tool, to premiere on 26 October in Geneva, will help governments better understand and adapt to these implications. Gradjet, a new online platform developed by the UN DESA-hosted Committee for Development Policy (CDP) Secretariat, will help officials in LDCs understand what it means to leave the LDC category and to plan a course for the future. “The purpose of this exciting new tool is to make LDC graduation as smooth and painless as possible,” said said Roland Mollerus, Chief of the UN CDP Secretariat. “Its innovative format has allowed us to gather all the relevant information and contacts in one place, while customizing it for each individual country. I am convinced that Gradjet will benefit the graduating countries in the years ahead,” he added. Its innovative format has allowed us to gather all the relevant information and contacts in one place, while customizing it for each individual country. I am convinced that Gradjet will benefit the graduating countries in the years ahead. While some expect the graduation to boost their international position and attract investments, they are also concerned about their ability to navigate the post‑LDC landscape. Their main challenge will be adapting to the loss of benefits reserved for least developed countries, such as trade preferences, a certain proportion of official development assistance, dedicated climate financing, travel assistance and smaller contributions to the UN budget. With valuable contacts, a wealth of information and suggestions for actions all in one place, Gradjet will help LDCs at every step of the process. Tailored to each country, the platform will show what graduation means in their specific context and what they can expect before, during and after leaving the LDC category. 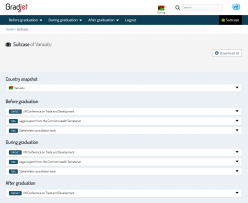 A drop-down menu allows Gradjet users to see information relevant to each country, including a snapshot of its LDC status and where it stands in the graduation process. A series of activities is suggested for each stage of graduation, and users are directed to relevant UN contacts if they need help. They can also access the wealth of statistical sources provided by the website. An innovative feature known as the suitcase allows designated users to log in, save information, and download it when needed. For example, a government officer can quickly and easily create a policy brief for her minister by saving everything from the country snapshot, to an overview of the expected international support implications, to the export composition and advice on how to consult stakeholders. This information can be downloaded as a Word document and edited as required. A series of videos has been created specifically for Gradjet, including explainers on the LDC category, the Committee for Development Policy, and expert views. The tool was developed in a series of consultative meetings with a select working group of concerned countries including Bangladesh, Bhutan, Lesotho, Solomon Islands and Timor Leste. In addition to UN DESA, other UN entities and international organizations contributed to the platform, including the Commonwealth Secretariat, the International Trade Centre (ITC), the United Nations Conference on Trade and Development (UNCTAD), the United Nations Office of the High Representative for Least Developed Countries, Landlocked Developing Countries and Small Island Developing States (UN OHRLLS), and the World Trade Organization (WTO). The website, endorsed by the new United Nations Inter-Agency Task Force on LDC graduation and smooth transition, represents a strong example of inter-agency collaboration on an important goal – and one which is central to the achievement of the Sustainable Development Goals.